The DOL has described a fiduciary as someone who is required to put their clients’ best interest before their own profits. Fiduciaries include registered investment advisors, advisors to mutual funds (like Dimensional) and others who hold themselves out to be fiduciaries (like trustees and certain retirement plan consultants). Fiduciaries are required to act impartially and provide advice that is in their clients’ best interest and, in doing so, must act with the care, skill, prudence and diligence that a prudent person would exercise based on the current circumstances. A fiduciary must avoid misleading statements about fees and must avoid conflicts of interest. 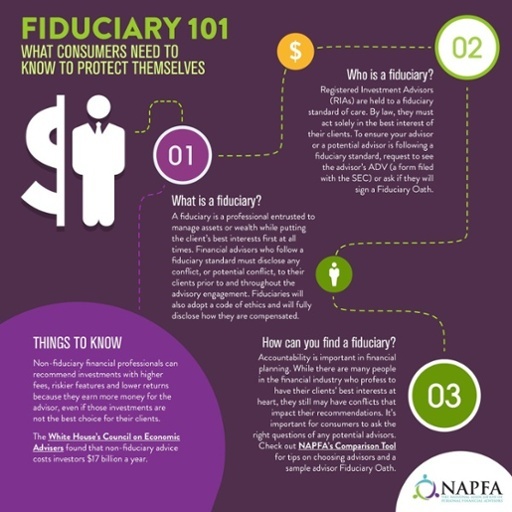 Fiduciaries are typically compensated by payment of a fee rather than a commission. Fiduciaries to retirement plans, plan participants and IRAs are also prohibited from receiving payments that create conflicts of interest unless they comply with the terms of certain exemptions issued by the DOL. Fiduciaries are personally liable for breaches of their fiduciary duties. For example, if there is a loss caused by a breach of fiduciary duty, the fiduciary must make the plan or IRA whole by restoring any losses caused by the breach and restoring to the plan or IRA any profits made through the use of plan or IRA assets. Civil actions to obtain appropriate relief for a breach of fiduciary duty may be brought by a participant, beneficiary, fiduciary or the U.S. Secretary of Labor, and the fiduciary may be subject to excise tax penalties. 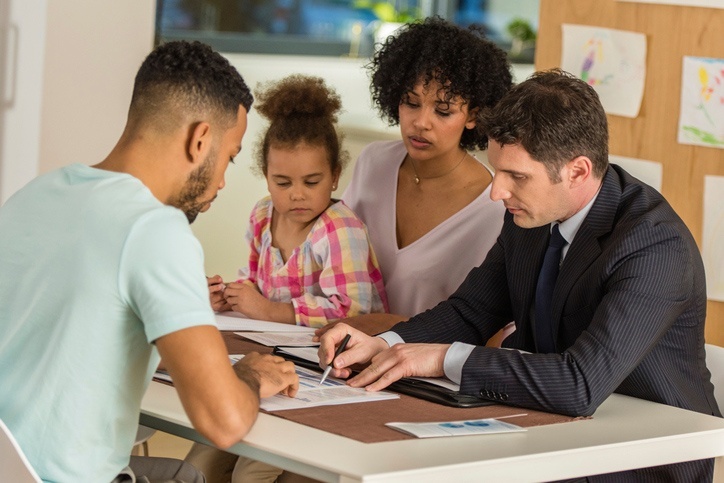 Historically, representatives of a broker-dealer are required under the securities laws to judge the suitability of a product for a prospective investor, based primarily on that person’s financial goals, income and age. Unless agreed otherwise, under this standard the rules do not legally require a recommendation of the most cost-effective product, a disclosure regarding conflicts associated with the investment or disclosure of the compensation received when making that recommendation. Under the new DOL rule, it may mean that common forms of broker compensation, such as commissions and revenue sharing, will be restricted. 2. For informational purposes only and not for the purpose of providing tax or legal advice. You should contact your tax advisor or attorney to obtain advice with respect to any particular issue or problem.